Rediff.com » Business » Will this stunning Honda SUV ever come to India? Will this stunning Honda SUV ever come to India? Honda had revealed the images of the HR-V and now it has unveiled this compact SUV at the Paris Motor Show. This is the new SUV form the Japanese manufacturer and it will be launched in Europe by the next summer. 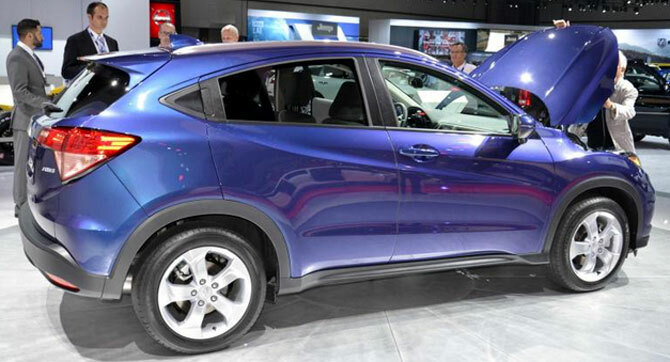 The Honda HR-V will be the company’s first compact SUV and this has a roofline like a coupe. The Honda HR-V will come with a 1.8-litre petrol and a 1.6-litre i-DTEC engine options. The petrol will come mated to a six-speed manual or CVT box. 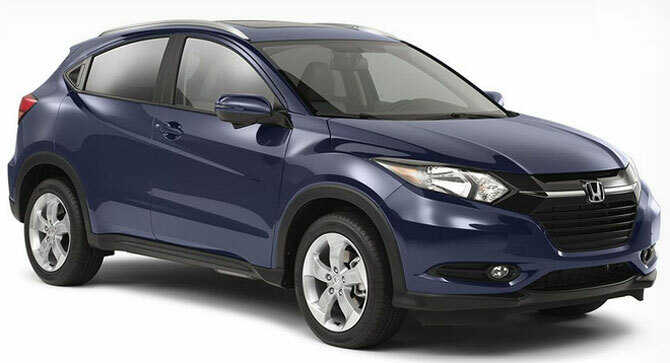 The Honda HR-V is based on the Jazz platform, however there is no similarity in their styling. It does look different from Jazz and resembles the new generation CR-V more. 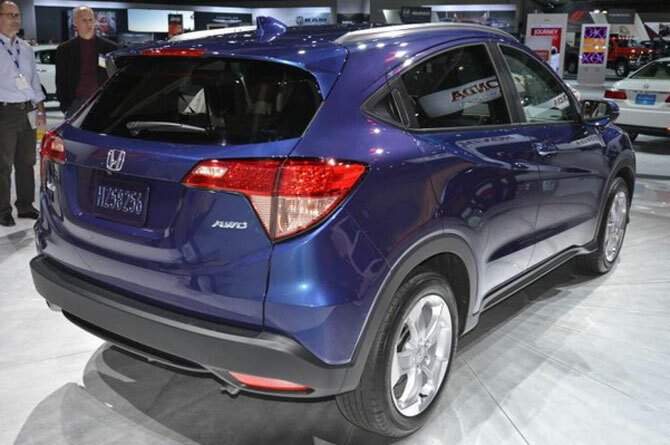 The design is aggressive and it is the smallest SUV that Honda has ever made. This coupé-esque elegance is achieved without compromising the interior practicality of the HR-V. It features a centre fuel tank location to create one of the most spacious and adaptable small SUV cabins, while Honda’s Magic Seats make use of this versatility by enabling a wide range of seating configurations, with the ability to fold the second row seats completely flat for additional cargo space. The Magic Seats are seen even on the Honda Mobilio as well. It will come loaded with several features like Hill Descent Control, seven-inch touchscreen system, multi-angle lane watch. This compact SUV will be offered in three trims, LX, EX and EX-L. The HR-V will be built in Celaya in Mexico and will be exported the United States. For the European market, Honda has a plant in the United Kingdom. The HR-V will be an expensive buy for India, so we aren’t sure if this could make it to India anytime soon. Honda Mobilio vs Toyota Innova: Which is a better buy?